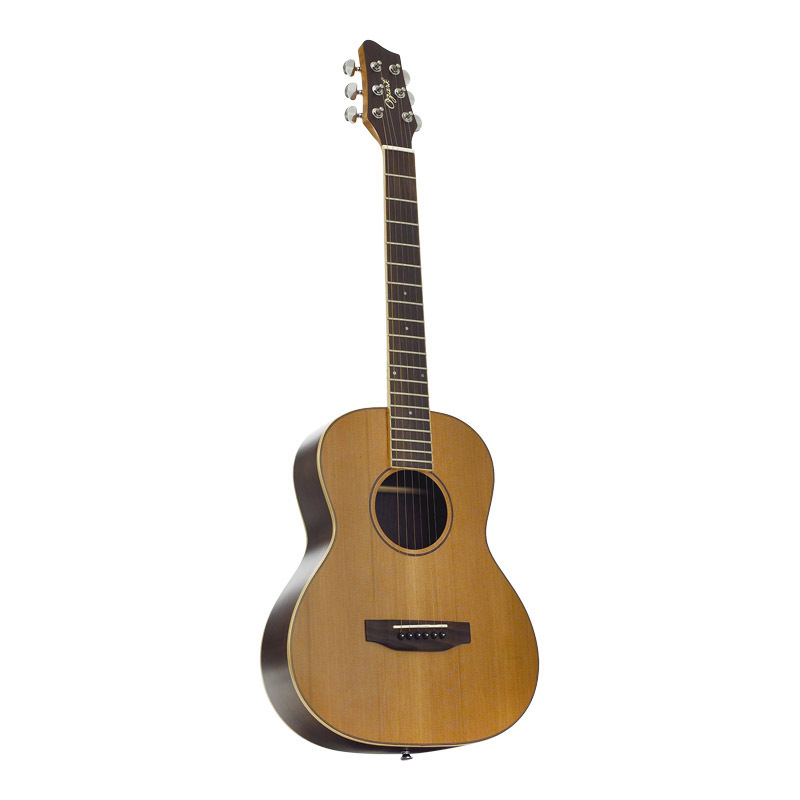 Ozark's high-strung guitar is part of the small-bodied guitar range. Sharing the body size of Ozark's successful and sought-after tenor guitar, it has been designed with 'Nashville' tuning in mind. Whilst maintaining the standard EADGBE tuning, the lower four strings are tuned an octave higher, resulting in a bright, harmonic sound that gives an interesting twist to all of your favourite chord progressions. With a solid cedar top and rosewood faced back and sides and attractive natural satin finish, the Ozark high-strung guitar is ideal for rhythm or solo playing. It delivers plenty of volume with a full, clear acoustic sound.